You sit down to pay the bills and realize that the money in your checking account won't cover them. You turn on the national news, and the economic forecast sounds bleak. Now, more than ever, you need to feel God's presence. Facing Financial Struggle provides 4 weeks of daily readings, prayers, and suggestions to support you as you deal with financial trouble and all the emotions it stirs. In this guide, you'll find scriptures, prayers, questions, and ideas appropriate for personal or group study. 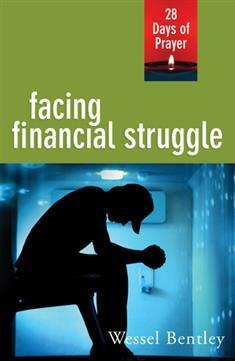 With the encouragement this book provides, you'll manage to make it through your financial struggles—with God's help.